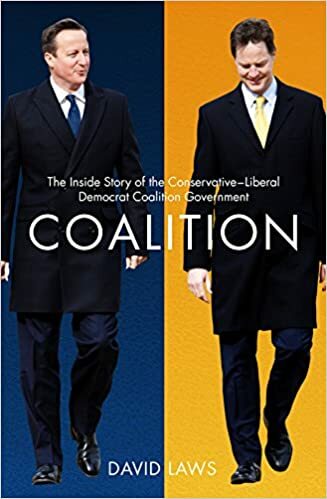 Coalition: The Inside Story of the Conservative-Liberal Democrat Coalition Government by David Laws does exactly what it says on the tin. It is the story of the Coalition running from 2010-15 from the point of view of someone at the heart of the action on the Liberal Democrat side. David Laws was a member of the negotiating team which took the party into the Coalition and a regular attendee at meetings of the Quad (where differences between the Coalition parties were thrashed out). Later he was a secretary of state in Education. Laws finishes the book by answering three questions which I list below and are a useful way of organising this review. Did the coalition work as a form of government? The Coalition lasted the full parliamentary term, contrary to what many people expected. Both parties in the Coalition implemented significant chunks of their manifesto, and there didn’t seem to be many great dramas over votes unexpectedly lost. The members of the coalition seemed to get on OK, there was a dispute resolution system involving the Quad (Nick Clegg, Danny Alexander, David Cameron and George Osborne) and, in extremis, David Cameron and David Clegg alone. Laws appears a rather amiable chap and seemed to get along with many of his Coalition opposite numbers, particularly Oliver Letwin, Ken Clarke, George Osborne, even Michael Gove (whom he also found infuriating). Laws writes quite a lot about his experiences in the Department for Education, and it becomes increasingly clear to me that the stories you see about chaos in government are typically an “inside job”. In this case Gove and his advisor Dominic Cummings briefing against the free school meals Laws championed. You can see Cummings hand in the briefings against Cameron now they are on opposite sides of the EU referendum debate. It follows from similar internecine struggles during the Blair and Brown years, and you can see it now in Corbyn’s Labour party. It is not absent in the Liberal Democrats, Laws highlights that part of the pain of tuition fees for the party was in the deep division within the party. Regardless of what had been achieved, half the party would remain unconvinced and if the party doesn’t believe then what hope persuading the public? Vince Cable’s frequent, contrary, interventions on the economy had a similar effect. 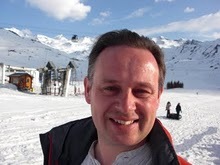 And the polling done by his friend, Matthew Oakshott to undermine Nick Clegg. The accusation that senior Tories act very directly and explicitly in their own self-interest and that of their major donors is all the more damning coming from someone who clearly has a lot of time for them. Areas like the response to the Leveson enquiry are muted because of Tory Party enthusiasm for keeping papers on side. The proposed Mansion Tax is quashed to keep Tory party donors onside, it being raised by both Labour and Liberal Democrats is welcomed though. The Tories, particularly George Osborne, were repeatedly looking to cut the welfare bill (except for pensioners) largely because they didn’t see claimants as “their people”. The “English Votes for English Laws” announcements made on the day of the Scottish referendum victory very much put a dampener on the result, and was done by Cameron for short-term gain. After the 2015 election we can see that Liberal Democrats had a substantial restraining influence on the Tories in power, the distributional impact of changes for the budget is much more heavily skewed against lower income groups than it was under the Coalition (see here for the 2010-15 figures and here for the 2015-19). Legislation like the parliamentary boundary changes and the “Snooper’s Charter” are now going ahead, previously blocked by Liberal Democrats. The Liberal Democrat achievements in government have been summarised in Mark Pack’s rather fine infographic or the eponymous What the Hell Have the LibDems Done? website. The introduction of equal marriage was a surprise bonus, not in anyone’s manifesto but pushed through by Liberal Democrat Lynne Featherstone with the support of Theresa May despite continually opposition from backbench Tories and surprisingly, initial opposition from Labour and Stonewall. Constitutional reform was the area where Liberal Democrats fell down, not getting either electoral reform or reform of the House of Lords. Neither of these are areas where the public shows any interest, and nor do they have the support of either Labour of Tory parties so perhaps failure was inevitable. In contrast to the EU referendum and the Scottish referendum there appears to be no call for a second referendum on AV. What could Liberal Democrats have done better? It was widely touted in the Liberal Democrats that coalition would be electorally damaging, given the experience of other smaller liberal parties in coalition in Europe and elsewhere. I think we gradually took this to heart as we lost councillors, then MEPs and finally all but eight of our MPs but none of us were really prepared for the final blow. Now following the first local and Scottish parliament elections after the end of the Coalition we are starting to win back seats and grow support. Much of our loss in votes came pretty much immediately that we formed a coalition with the Tories, so one thing we could have done is not formed a coalition. I don’t support this idea, David Laws doesn’t support this idea, and he cites a whole load of other Liberal Democrats who don’t support this idea. The last 5 years have been the best time to be a Liberal Democrat at least since I joined the party in about 1990, our policies actually got implemented in government – which is the whole point of being a political party! Inevitably attention will turn to the tuition fees vote, Laws’ first prescription for this is not to have made the promise to scrap tuition fees in the 2010 election. His second prescription, to have vetoed the idea is probably right in retrospect but didn’t happen because we were still trying to work out how to make coalition work and weren’t confident of our actions. As it stands the current tuition fee policy works, in the sense that enrolment in universities and enrolment from lower income groups continues to rise. It is a graduate tax in all but name with the advantage that you don’t avoid it by emigrating and it can be collected from EU students. The NHS Bill is another idea which Liberal Democrats should have vetoed, largely in my view because it was unhelpful at a time when the NHS was supposed to be making large efficiency savings. It would also have helped the Tories in not damaging their fragile reputation over the NHS. Lansley was sacked as Secretary of State for Health for contaminating the brand of the Tories over the NHS, to be replaced by Jeremy Hunt(!). From a more technical point of view Laws toys with the idea of going for more senior Secretary of State positions in the government rather than the more junior ministerial positions that were taken, Danny Alexander and Nick Clegg both held quite senior positions but they were someone else’s deputies. Our strength in Cabinet was propertional to our share of seats rather than our share of votes. Other Liberal Democrats such as Vince Cable held top positions but in less important departments. The style of the book is crisp, it rattles through around 50 short chapters. The quoted dialogue sounds incredibly wooden, I recommend not buying any fiction Laws’ might write! If you’re interested in politics then I thoroughly recommend this book, if nothing else it gives a clear insight into how coalition government can work in the UK. For Liberal Democrats it is an essential record of what we achieved in government. Whilst there may be more detached, historical reports in the future there is unlikely to be one better from the core of the action.